The renovated Moana Surfrider will continue to offer the grace of the Victorian era, with the comfort of updated amenities. The scent of white tea and The Westin Heavenly Bed are just a few of the additions in store at the landmark Moana Surfrider, following the hotel's re-branding by Westin Hotels & Resorts. The changes become official on June 1, following a renovation updating the Victorian property with modern amenities. Moana's guest rooms will be outfitted with Westin's signature Heavenly Bed and Heavenly Bath amenities, as well as new flat-screen televisions. The hotel's distinctive porte-cochére entrance will draw visitors into a revitalized lobby featuring hardwood floors, new furniture and lighting fixtures. A beachfront spa is slated to open in the Moana in early 2008. 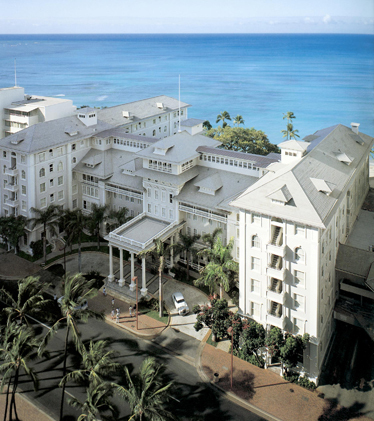 Built in 1901 and affectionately christened the "First Lady of Waikiki," the Moana Surfrider, A Westin Resort will continue to offer a Hawaiian experience that honors the hotel's rich history through graceful service, relaxation under the shade of the hotel's historic banyan tree, and historical tours offered at 11 a.m. and 5 p.m. Mondays, Wednesdays and Fridays. The hotel recently made news when it hosted an appearance by Lt. Andrew Baldwin and Tessa Horst, from the TV show "The Bachelor," upon their return to Hawaii as a couple. For more information on Starwood Hotels & Resorts Hawaii, call (866) 716-8140.